Humming "Auf der Reeperbahn nachts um halb eins" when thinking about Hamburg is something that my people can't help doing but Hamburg is much more than its sinful Reeperbahn. Stripclubs, bars and many many drunk people (mostly men) looking for fun - that's the world famous Reeperbahn in Hamburg. Situated in eclectic St. Pauli, the Reeperbahn has become the number one destination for Hamburg visitors but Hamburg has much more to offer than red light delights. 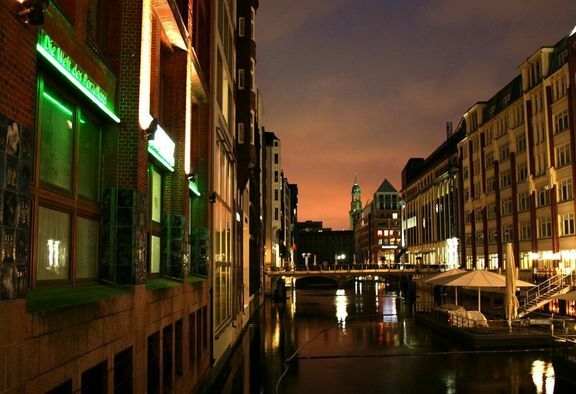 In Germany's second biggest city musical lovers are just right because more than 60 theaters will enterntain your brains out while the world famous Speicherstadt will make art enthuiasts' hearts beat faster. Enjoy a coffee at the harbour or hunt for the latest fashion trends at Mönckebergstraße - no matter what you are into, you can find it all in beautiful Hamburg.